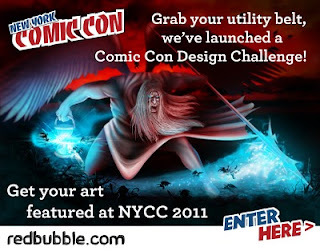 Road to NYCC '11: Design Contest Craziness! With New York Comic Con less than a month away, companies are starting to promote their NYCC plans. A couple of the promotions we found are design contests that require a little work ahead of time, so get ready! First up, our friends at Red Bubble sent us some info about their design contest. You have to create your very own, original, comic book character. No rules on powers, dress, good or evil; they just have to be awesome! 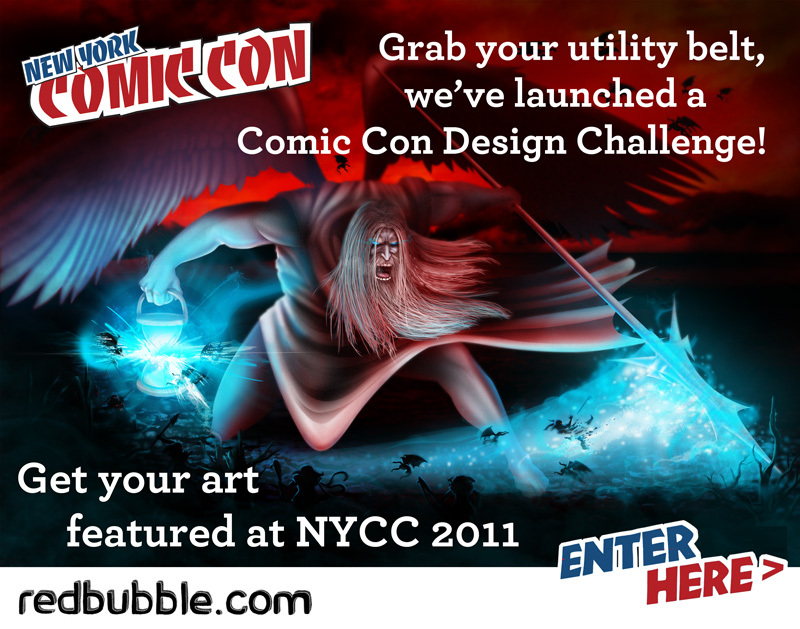 The winner gets their creation on a Red Bubble exclusive t-shirt to be sold to the masses at NYCC! All entries will be shared with the fans, and the top 20 vote-getters will be seen by Red Bubble top staffers, who will pick the winner! You can get more details right here. There are only a few days left to enter, so get started now! Are you a Red Bubble fan but not a design star? Don't worry, they have a ton of giveaways planned for during NYCC, including stickers, cards and bags, and even some limited edition NYCC t-shirts and iPhone cases. That's not even the big news - on Saturday and Sunday, they will be giving away one years' worth of free t-shirts from RedBubble.com to a lucky winner. You can find Red Bubble at booth 1938 so make sure you add their booth to your schedule! Are you in love with the Android guy? Do you want to make him better? If you do, tokidoki and Metro PCS need your help! They are looking for a fan to design a new tokidoki-inspired Android to decorate their booth at NYCC. The top 20 designs, picked by tokidoki's creative director Simone Legno, will be posted on Facebook for fan voting! Check out this page for all the details! You have until October 1st to enter, so get started! Did we miss a contest that you think is really awesome? Let us know so we can tell the geek masses! Email us at insertgeekhere at gmail dot com! In case you still need a ticket for NYCC '11, check out our NYCC ticket giveaway! Enter now! This past weekend, the IGH team got to be sneaky, really sneaky. Like Charlie the Unicorn sneaky. We were hiding prize envelopes for Con Quest '11. 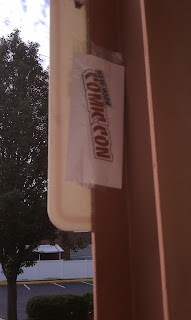 In case you don't know, Con Quest is a multi-state scavenger hunt for New York Comic Con tickets. Over parts of the east coast, dedicated geeks hid tickets to NYCC, who tweeted the clues. We broke up into teams to cover NYC en masse. The IGH team tweeted as Team We Go Hard! This is now our team name for all group activities, even if a name isn't required. Wysefyre hid one of the prizes in Queens at the Hall of Science. 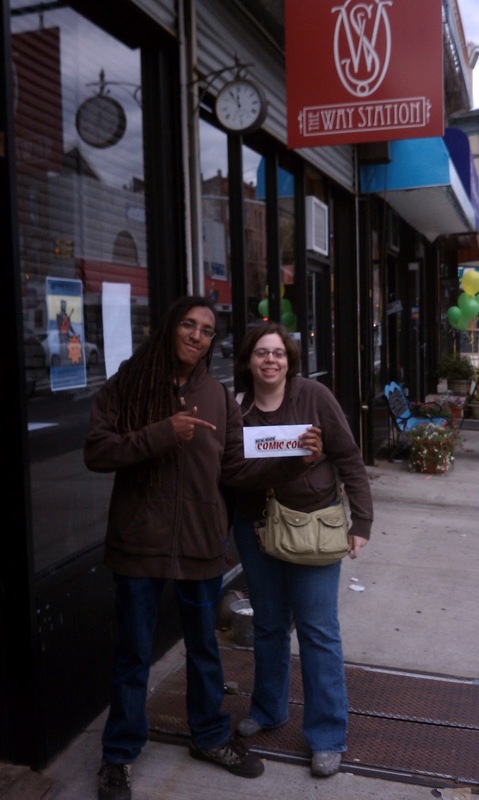 After heading into the city, the rest of the team headed down to Coney Island to drop of a clue by Nathan's Famous. After touching the bottom of a very gross phone booth, we headed to the Brooklyn Botanical Gardens, where we got to see some lucky guys find the prize we hid! Then we moved on to the best prize location ever, The Way Station. For you non-NYers, The Way Station is the ultimate geek bar, including a Tardis bathroom. In case you haven't been there, you should go. We were supposed to hide the prize in the bathroom but the clue accidentally went out early and this lucky, speedy fan beat us there! We closed out the night with a drink at the bar and a visit to the "Tardis" before the long ride home. This was a lot of fun and a great way to get excited for New York Comic Con! Thank a lot to the great NYCC team, lead by the awesome @henchling, for holding such a great event!